March 1, 2015. The inventory was 1 percent below March 1, 2014. Other disappearance totaled 62,000 during February, 13 percent below 2014. Marketings are cattle shipped out of feedlots to a slaughter market. and shipments to other feedlots for further feeding. 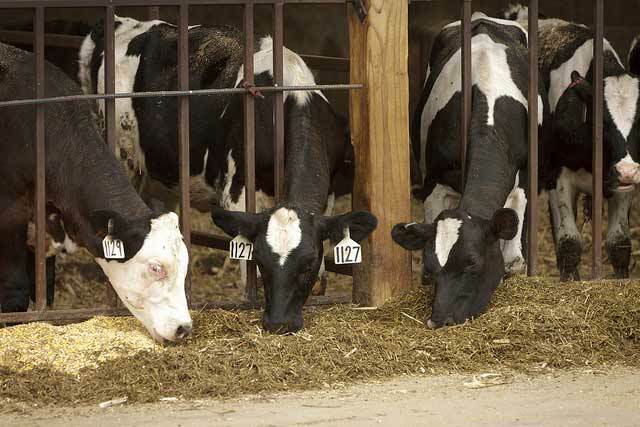 the cattle on feed in feedlots with capacity of 1,000 or more head. Individual State estimates are published monthly for 12 of the 16 States. capacity of 1,000 or more head for the rest of the United States. when establishing the current estimates. annual marketings from two years ago are reviewed and subject to revisions. processing the data. The effects of these errors cannot be measured directly. 10 that the difference will not exceed 1.0 percent. understate or overstate final inventory.